All of our diverse clients are interested in steady performance and a consistent approach to core bond management. We believe stability is produced by experience. 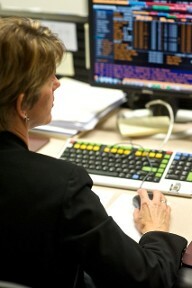 Every member of our investment team is a seasoned bond market specialist. With a lengthy tenure in the fixed-income marketplace, we have faced many market cycles and perhaps most importantly, have significant experience working together as a unit. A crucial component of delivering results is allowing access to decision-makers, so our portfolio managers are directly involved in client relationships. 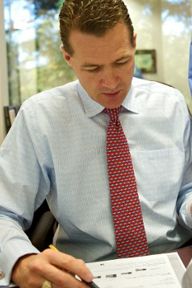 In addition, Richmond Capital Management is an attention-to-detail firm. This detail-sensitive orientation has always been a part of our culture. We pay attention to the fine points of client investment policy statements, pricing, and every element of servicing and reconciliation for portfolios. We believe that the investment-grade, fixed-income market misprices default and call risk. Therefore, we strive to outperform our relevant fixed-income benchmarks by concentrating our investments in corporate bonds, agency mortgage-backed securities, commercial mortgage-backed securities, and asset-backed securities. We carefully manage the risk in these sectors through extensive diversification and in-depth qualitative and quantitative research which begins with a thorough Environmental, Social and Governance analysis. Richmond Capital Management's origin dates back to 1982 as a subsidiary of the Continental Group called Continental Investment Advisors. We began as a fixed-income manager investing assets of Life Insurance Company of Virginia, which was also part of the holding company. Over time, Continental Investment Advisors began to take on external fixed-income clients, such as municipal pension plans. In 1987, the principals of Continental Investment Advisors purchased the bond management firm from AON Corporation (which had acquired Continental Group). The name was then changed to Richmond Capital Management. Our firm is now 100% owned by nine active investment, client service, and operations professionals. Decades ago, leadership took the firm private, believing they could closely align their interests with those of clients by becoming independent. Our growth and success since then is a direct result of that decision. Click here to view a printable one page firm overview.